WHITES promotion hopes were dented by Alex Reid’s late winner at Damson Park on Saturday. The substitute collected Darren Carter’s pass and fired past Mitch Walker to give his side the lead after Whites had twice gone ahead thanks to Ryan Bird’s penalty and Mitch Pinnock’s finish. 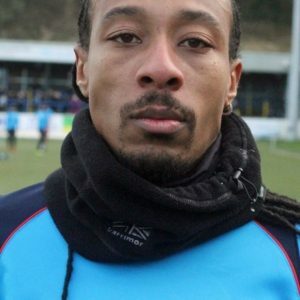 Moors twice hit back via Kyle Storer and a Kwame Thomas spot kick. The hosts started brightly and test Walker early on with Dover’s stopper saving from Carter. But it was Athletic that had the lead midway through the first half following Storer’s clumsy challenge on Anthony Jeffrey. Bird slotted the ball into the middle of the goal from 12 yards and though home stopper Max O’Leary initially stopped the ball with his legs, the Bristol City loanee was unable to prevent the ball from trickling over the line. But Mark Yates’ side were level just seven minutes later through Storer. The midfielder volleyed a loose ball into the bottom corner after following up on Jamey Osborne’s blocked shot. Walker then prevented his side from going behind, turning behind Adi Yussuf’s close range shot with his foot. Osborne tried his luck from range after the restart, curling a deflected effort just past the wrong side of the post. Nortei Nortey then chested the ball off the line following a corner, with the subsequent cross from Storer clipping the top of the bar. And a defensive error by Tyrone Williams handed Whites the lead once more. A wayward header from the centre back fell for Pinnock, who strode onto the ball and slotted into the net, in spite of Daly’s last-ditch attempt the clear the winger’s effort off the line. Osborne blasted wide and Yussuf fired into Walker’s arms as the away side searched for a second leveller. And that equaliser arrived with fifteen minutes remaining as Whites gave away their first penalty of the season. 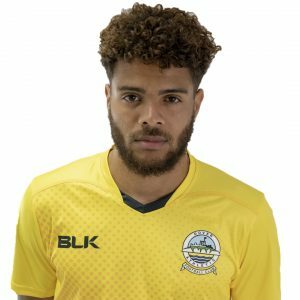 Manny Parry fouled Thomas in the area and despite the centre half protesting the ball had gone out of play, winger Thomas picked himself up to slam the ball into the middle of the goal, through the already diving Walker’s outstretched hand. 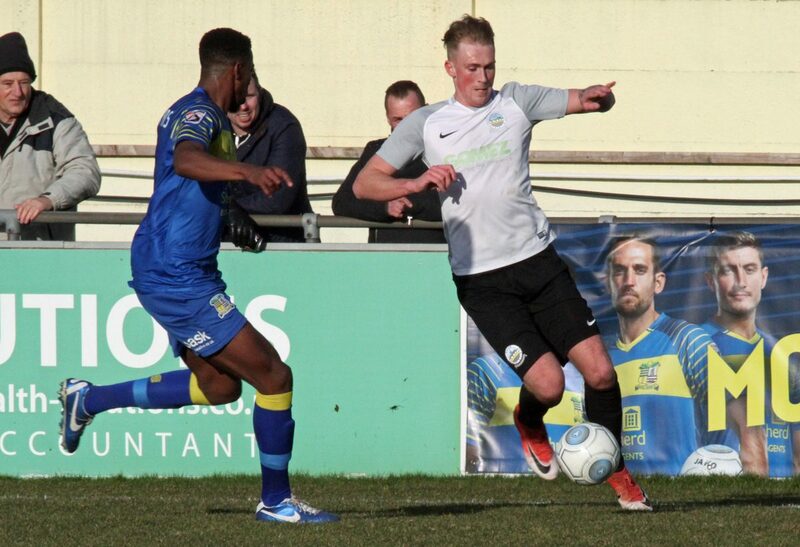 Pinnock’s spectacular long ranger flew straight down the throat of O’Leary as Chris Kinnear’s men looked to go in front for a third time, but it was Moors who grabbed a winner six minutes from the end. A counter attack saw Carter escape down the left wing and the midfielder passed inside to sub Reid, who checked inside and fired past a statuesque Walker in goal. The hosts held on to condemn Whites to their second consecutive league defeat and keep Kinnear’s side ninth in the standings, one point outside the play-offs. Dover next host Dagenham & Redbridge on Tuesday 20th February. Kick off 7:45pm. Solihull: O’Leary, Williams, Keleher, Carter, Daly, Reckord, Osborne, Storer, Yussuf (Edwards 90), Hylton (Reid 69), Thomas. Subs not used: K.Green, P.Green, Carline. Dover: Walker, Ilesanmi, Nortey (Bellamy 61), Brundle, Parry, Okosieme, Essam, Pinnock, Gallifuoco, Jeffrey (Daniel 83), Bird. Subs not used: Fazakerley, Alabi, Passley.